Met expectations, plenty big. Wish it came in a more user friendly bag that fits easily into my gym bag. The plastic case is not easy to open and too bulky. Q: if it needs to be stored moist, how does it not get moldy? A: Constructed of Durable Synthetic PVA Material will not mold if kept in original packaging. Wring out towel as directed. Q: Can this towel be embroidered or printed on somehow? A: Thank you for contacting TYR Sport! We are always eager to answer any questions you have about our products. 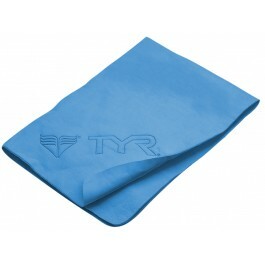 The towel can be printed on but we do not offer customization through TYR.com. Q: What is the towel made of? A: Thank you for your inquiry. The material of the towel is Synthetic PVA. Q: My towel got soak with really hot water now it has tiny hole things in it. Will it still work as good as it did before? A: Thank you for your inquiry. The really hot water has caused the material to breakdown. We would recommend discarding of the towel. Q: I'm looking to see if I may use this with soap and some water to wash off in times when there is no shower (ie. running at work during lunch break)? A: Thank you for your inquiry. We do not recommend washing the Dry-Off Sport Towel with soap / detergent as it will cause the material to break down over time. Your best option would be rinsing with cold water after use. 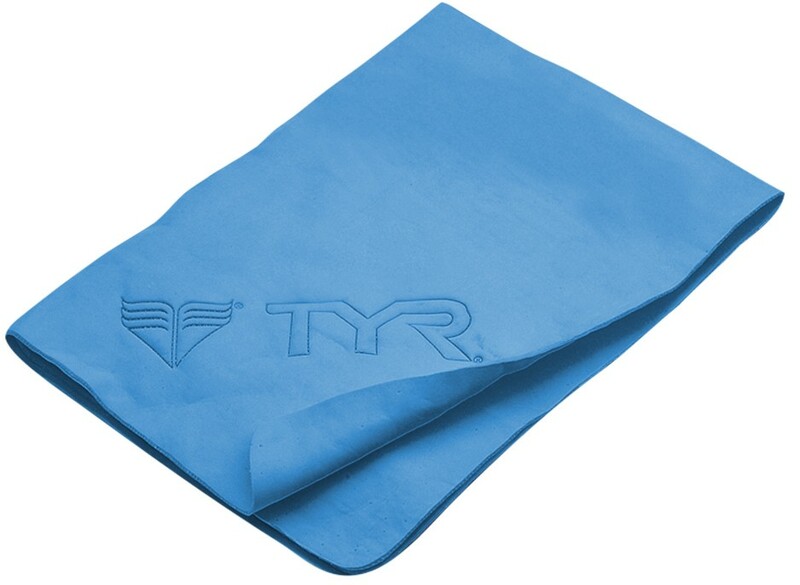 The Dry Off Sport Towel allows for repeated uses, without losing softness or absorption. Ideal for practice and competition, a storage case is included for easy travel and storage. Product Specs: 17" x 13"